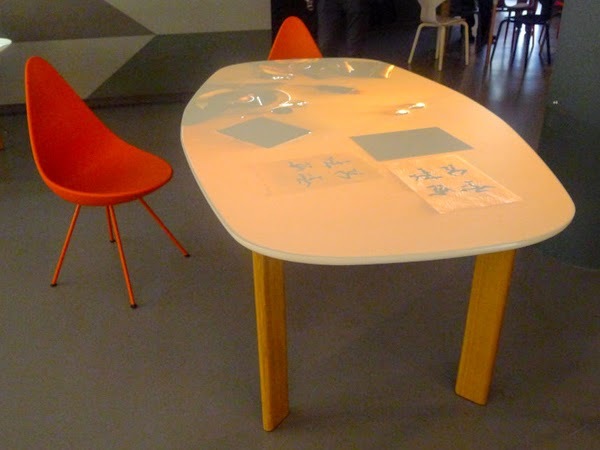 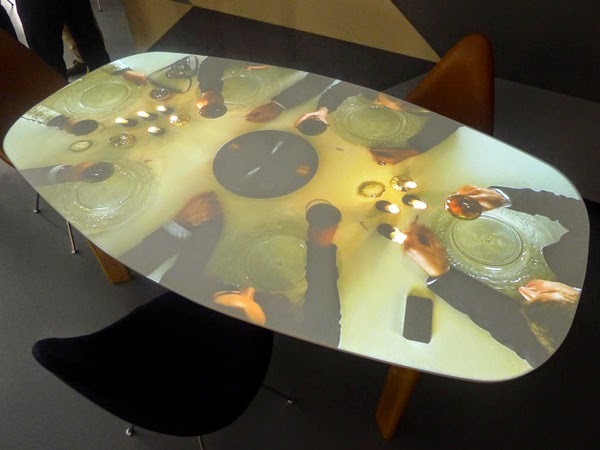 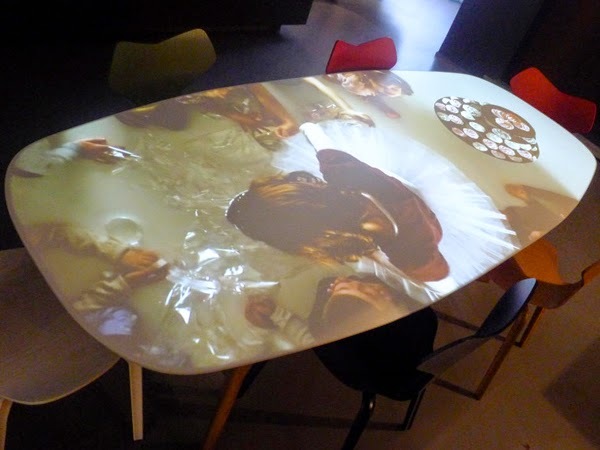 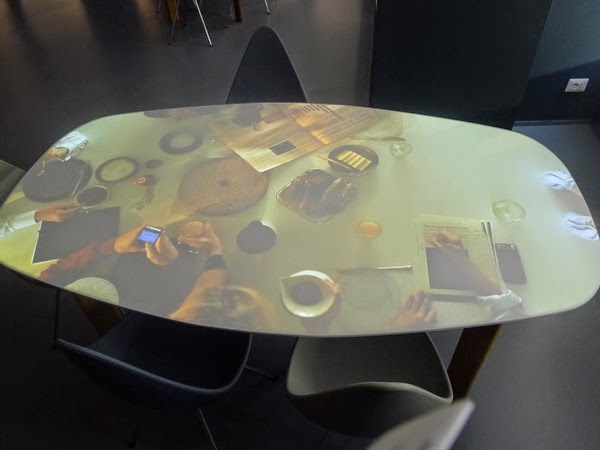 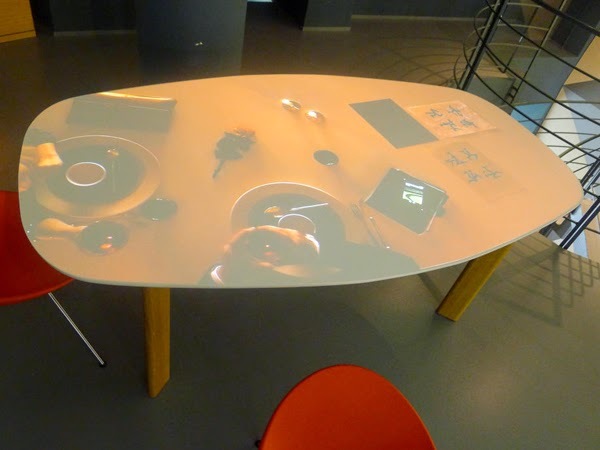 Republic of Fritz Hansen used creative visual merchandising to bring its Analog dining table to life during Milan Design Week, projecting videos of a busy breakfast onto the tabletop surface to make it appear constantly in use. 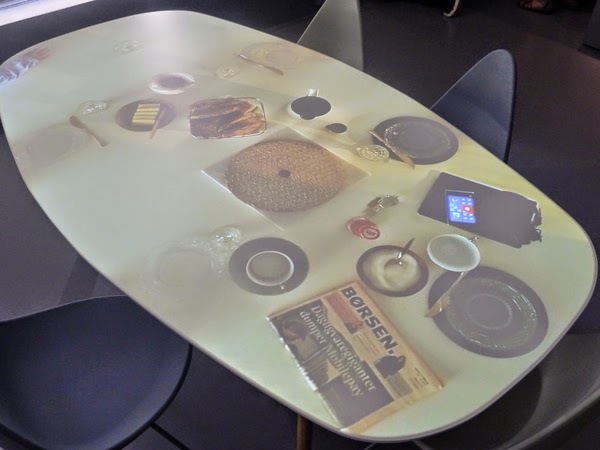 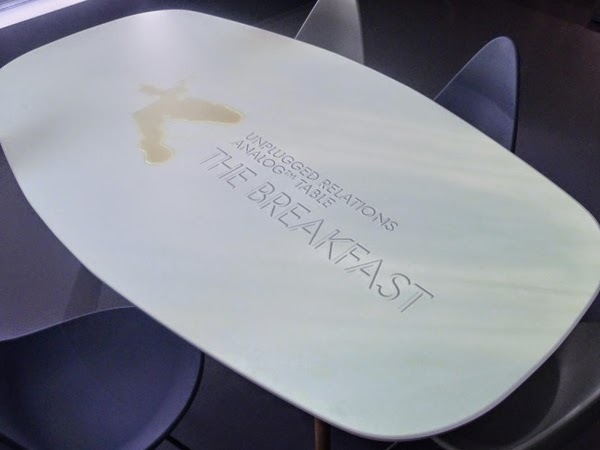 Videos showed hectic breakfasts with tables covered in coffee cups, newspapers and iPads, complete with hands reaching in to pour drinks and offer up food - and unexpected visitors climbing on to the table. 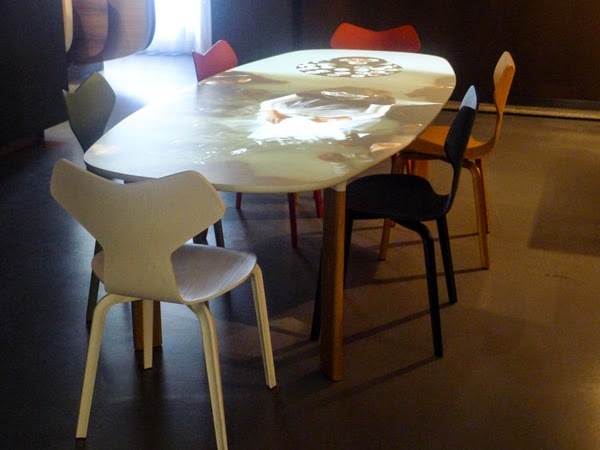 Homebuildlife subscribers can see our VM round-up from Milan Design Week this year here.